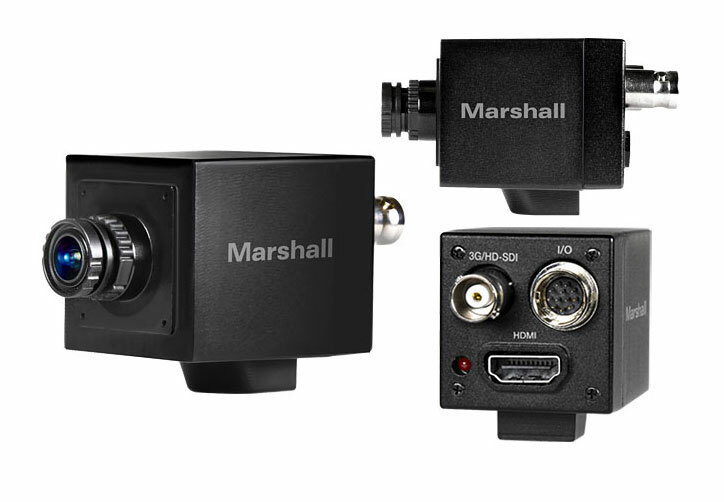 Marshall Electronics has announced the latest additions to its HD POV cameras — the new CV505 Mini Broadcast Camera and CV345 Compact Broadcast Camera. Both utilise next generation chip sets, which now support audio input for capturing local sound at the camera level. 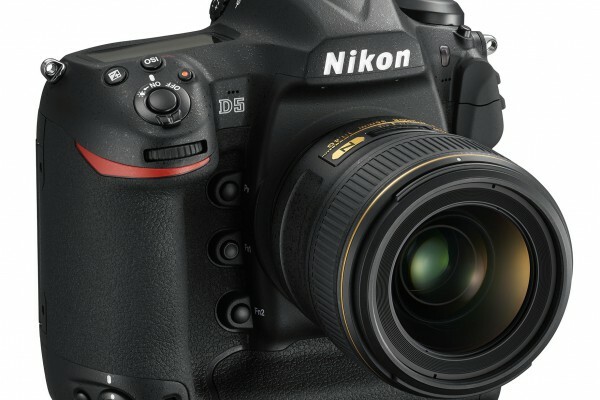 The CV505 and CV345 utilise 2.5MP sensors with better low light performance than earlier models. The CV505 Mini Broadcast Camera is built around a 1/3-inch 2.5MP sensor, set in a 1.5-inch body with 3.7mm (interchangeable) lens. The CV345 Compact Broadcast Camera also features a 1/3-inch 2.5MP sensor, housed in a 2.5-inch body with CS/C lens mount and DC Auto-Iris. Both models flexible HD lens options for a range of angle-of-view perspectives. Audio embedding is supported on 3G/HD-SDI and HDMI feeds simultaneously when captured via 3.5mm TRS stereo input (2.5V supplied power). 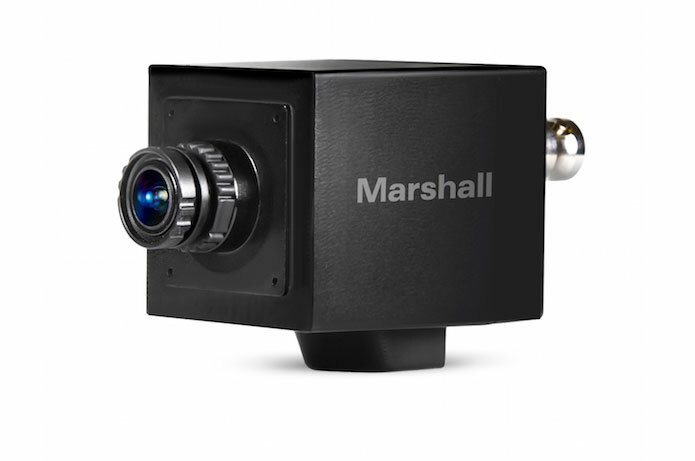 The ability to capture sound at the camera level, like chatter between athletes, the crack of a baseball bat, or the ping of a golf ball, expands the potential use case scenarios of the Marshall Pro-Series POV Camera line. Marshall’s new CV505 and CV345 will be displayed on the Quinto Communications stand at the forthcoming ABE 2016 exhibition in Sydney.